The Aspens at Ridgeview Falls Apartments is now open. Aspens is a brand new luxury 55+ community in Olathe, KS. The property is located at 11691 S. Ridgeview Road. 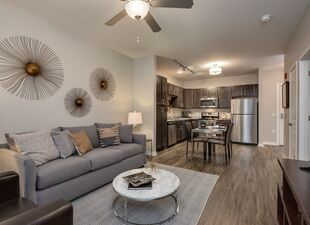 The Aspens offers a mix of 1- and 2-bedroom apartments. Amenities include a salon, theater, putting green, fitness center, and weekly continental breakfast. For more information you can visit the property's website or schedule a tour at 913-707-6571.